Last week I had the opportunity to have a Q & A with a very talented artist from my Hometown of Houston Texas, Ms. Mary Sarah. 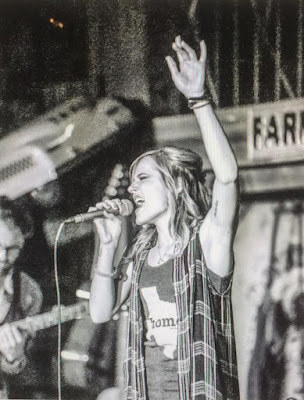 Many may know her from her time on The Voice, but Houston has known her since before that. 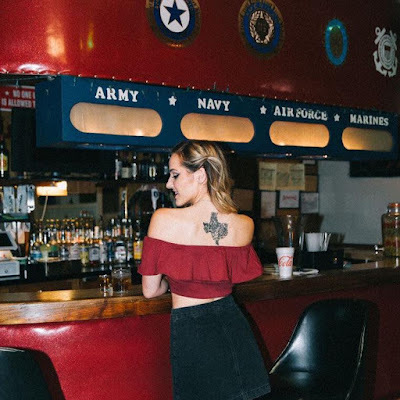 Which is why it was no surprise that after Harvey, Mary Sarah was actively involved, like many other Texas artists, in doing their part and helping raise funds for those affected by Harvey through different shows and organizations. 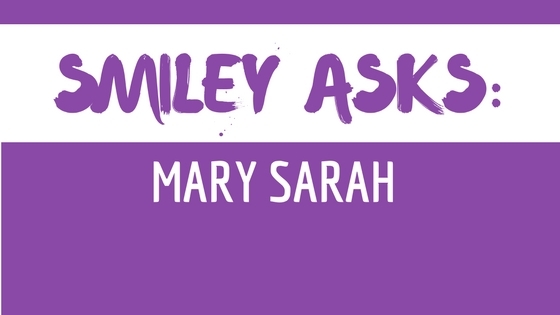 Thankfully, Mary Sarah squeezed in a few minutes in her busy schedule to answer a few questions I had for her. I know you’re also a Houston native, so first of all, how’s your family doing dealing with the aftermath of Harvey? I know it’s affected many people in Houston and its surrounding areas. I am! Texas is home for me. Thankfully my family is safe. I do have a lot of friends who were effected and that was definitely tough hearing and watching. My family and I are mainly based out of Nashville now so when Harvey hit, I was in Nashville. It truly was tough to watch. That is why we decided to head to Texas to support as much as possible. We did 3 different fundraisers and raised over $28,000 in funds. How has it been for you to be a part of different shows that are benefiting those that were affected by the disasters that Harvey left behind? I have been truly honored to be able to help in any way. As an artist, we are given a platform and it's up to us to use it in the right way. I am truly thankful for the parents I have because they instilled that in not just myself but my siblings also. What are you hoping people will take from the last couple days here in Texas? What lesson have you personally learned from this (if any)? Well, I hope people see that taking time to help others doesn't just benefit them, but yourself too. For me, I don't think I could go a day without giving in some type of way. Whether it'd be money or even just lending an ear for someone to talk to. I hope others will see what we have done and want to help also. A lot of people see that someone needs to do something and they never decide to be that someone. But, the thing is, someone has to start the change. And, why not you? Ya know? For me, it has shown me exactly that. That if I step forward to help, others will see and others will join. Now, switching to the music side of things how does it feel to have your new single “Without You” out now for people to enjoy? AMAZING. "Without You" is a song that helped me through a very tough period in my life and I just hope it does the same for others. At the end of the day, that's what I hope my music can do. “Without You” definitely has a more soulful sound than “Dress up This Town”, could we expect the next album to be filled with songs similar to it, or a mixture of styles? And when can we expect it? I definitely think the next chapter of music in my life is going to have a mixture of influences in it. I feel as artists we are always ever changing and with that, our music is ever changing. I don't have a specific date for the next release of music but I'm definitely hoping we get some stuff out in 2018! Okay, just a few more questions. I know you have some great albums, and they all have something unique about them, which one has been your favorite to record so far? And why? My Bridges project. Why? Well, it's not everyday you get to learn from such Legends. I started that project at 15yrs old and I think it was a monumental growing period for me and my artistry. I still use the advice given to me then by those legends even now. It was an incredible part of my journey. Which song/cover is your favorite to perform at shows? Well, I always like to change it up. So, right now it'd have to be my own version of Tennessee Whiskey by Chris Stapleton! Any new and exciting projects that you are currently working on or planning to do? There is actually a very very big project I am in the midst of working on. I can't say much about it but I will be able to announce details come up here in November! :) So, keep your eyes peeled! Thank you again for answering my questions, and from one Houstonian to another, thank you for doing what you’ve been doing to help out our hometown and state. There is a long road to recovery, so everything being done by our Texas artists will definitely help. Hope you will be able to make it down to the Rio Grande Valley soon! There you have it folks, now go out and enjoy Mary Sarah's new single "Without You" and while you are at it check out her other musical projects.